Tow Truck Insurance Toledo Oh – Quotes and Coverage Available Seven Days per Week! Looking for the best deal on Tow Truck Insurance in Toledo Ohio and the surrounding areas? If so contact Pathway Insurance at 1-800-998-0662 or click on Tow Truck Insurance Toledo Oh to send us your information for quotes online. Pathway Insurance offers competitive Tow Truck Insurance in Ohio, Michigan, Indiana, Kentucky, Minnesota, Tennessee, Georgia, and Florida plus we are connected to an agent referral service available in all 50 states. Online agents are available seven days per week for completing quotes, issuing policies, taking payments, issuing certificates of insurance, and filing claims until 5:30 PM. Shopping for Tow Truck Insurance in Toledo Ohio Is Challenging! The reason why it is can be challenging and sometimes frustrating is because so few insurance underwriters offer tow truck insurance, even if it’s incidental to your garage operation. If you call 100 companies offering business insurance in Ohio, only 10-15 offer tow truck insurance in the state of Ohio! Some of the biggest insurance companies that advertise non-stop on television do not underwrite tow truck insurance! We offer quotes seven days per week when you click on Tow Truck Insurance Toledo Oh. It’s actually a simple answer. The majority of companies do not want to insure tow truck operation simply because the claims experience in this class of business tends to be significantly higher than average compared to other commercial auto risks, so most insurers avoid tow truck operations. As was mentioned above there are more than hundred companies offering business auto insurance in the state of Ohio, yet only a handful of companies will insure Towing Operations and Garage Operations. Fortunately we represent a number of companies offering competitive solutions for Garages, Car Dealerships, and companies that only offer Towing Services. Tow Truck Insurance Toledo Ohio – What about Insurance for Repossession Work? Great question. 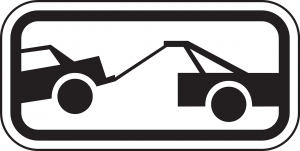 Usually if repo work consists of more than 10% of your annual receipts the typical insurance company underwriting tow truck risks will turn your company down!For instance if you generate $500,000 per year in annual receipts and repo work is $50,000 or more, most insurers will turn you away! However it is possible to obtain commercial tow truck insurance even if the customer is engaging in 100% repo work! You’re not going to like the premium rate certainly, but there are few choices available for towing operations that specialize in repo work. What Happens If I Forget to Tell the Insurance Company about My Repo Work? This could spell trouble for you when you have a claim. Insurance companies rely upon the statements policyholders make on the application to determine if that towing operation would qualify. If a company would ordinarily decline a company for doing repo work and you failed to notify the insurer you are engaged in repo work, you will be facing a claim denial down the road. Engaged in fraudulent conduct; at the time of application. This means that we will not be liable for any claims or damages that would otherwise be covered. Don’t hide what you are doing from the insurance company… That decision may come back to haunt you later. Tow Truck Insurance Toledo Ohio – Fast Quotes and Coverage Seven Days per Week! As a leading independent agency we can help you find the coverage you need for your business. Our office number is 1-800-998-0662.